Garageband – serious DAW or a toy? This week I’m lucky enough to be attending the Apple Distinguished Educators Institute in Singapore. Yesterday I enjoyed lunch with the Heads of the Development teams for iMovie and Garageband. They were both very inspirational in their presentation but at the same time kind, down to earth and accessible. I’ve done recent posts extolling the wonders of the new Pro Tools First mainly because it is free, cross platform (which many schools may require) and comes with excellent MIDI instruments and reverb, compression and EQ plugins. However, there are many schools that are lucky enough to be Mac only (yes – big bias coming through here – but that is only because I’m very much over finding that our MIDI keyboards and audio interfaces don’t play nicely with the myriad of Windows devices kids bring to my school). For these schools the logical solution for them in running a music technology course is Garageband. So I thought I’d do a bit of a post showing why Garageband really is one of the best pieces of software around and how it can be useful for NZ teachers doing the Performing Arts Technology at level 2 and above. 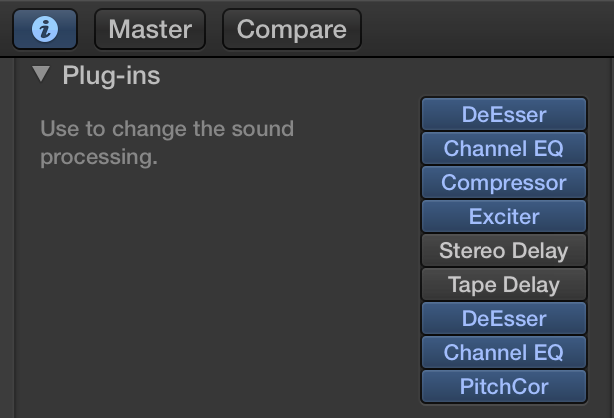 you end up with controls to do broad changes to your sound. Now, these are excellent. But for level 2 SOND standards and above you need more control. 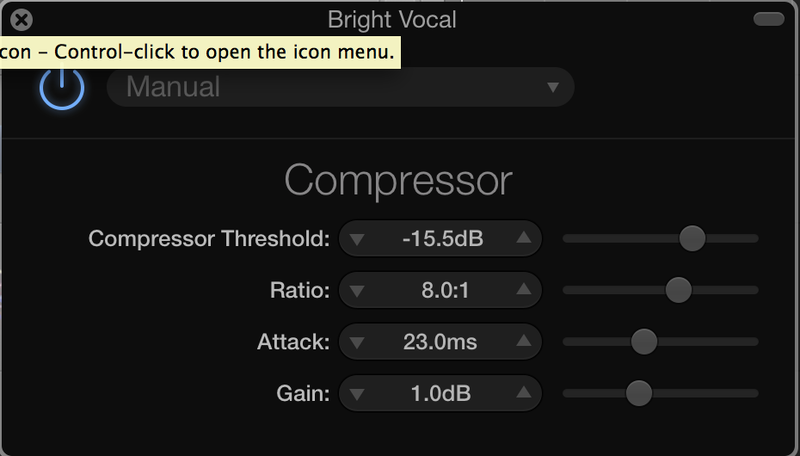 You need to be able to change the threshold of the compressor, the ratio, change reverb levels, work with parametric EQ. Here you are able to open the individual plugins which contribute towards the first user interface that you saw, and in here you can customise pretty much anything you need to. And it sounds great!!! Remember, these are the same plugins that are in Logic, just packed slightly different to seem less intimidating. There are a few features missing from what you’d get with Logic (such as ability to control and knee or release in a compressor) but most of what you need is there. If you’ve created a guitar track then it’s the same scenario, you’re able to see the pedal board, amp selection and all other aspects that go into making that particular sound. And we don’t have time to get too far into the Drummer feature here but needless to say, it really is an amazing feature. So when you dig a little deeper, you can see that Garageband is far from a toy. It is a serious DAW and completely usable for all of the SOND standards. Where you might find you have some issues is when it comes to editing audio to improve the performance. Here it may be a little clunky… but still possible. Pro Tools First would definitely have the edge here so level 3 SOND students may want to try both DAW’s and see what works for them. The guys from Apple shared some really exciting news about the next release of Garageband (which I’d better not share here) which will make the fact that this is a free piece of software even more amazing! 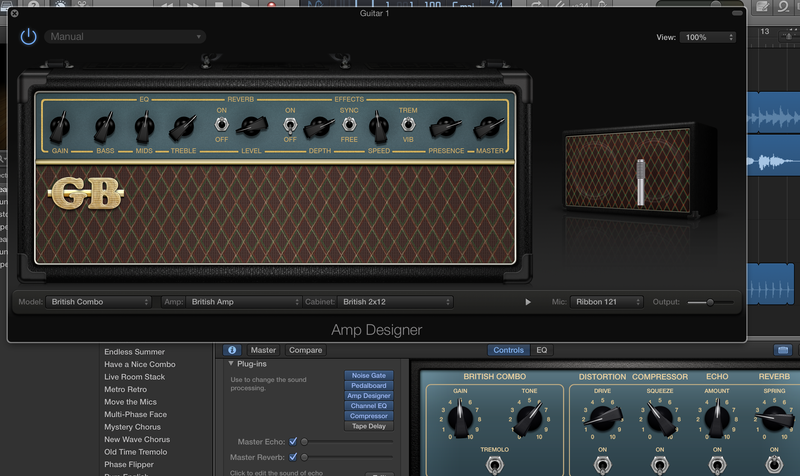 Watch this space for a full review of the new Garageband when it comes out later in the year!